First printed in R&D Systems' 2000 Catalog. 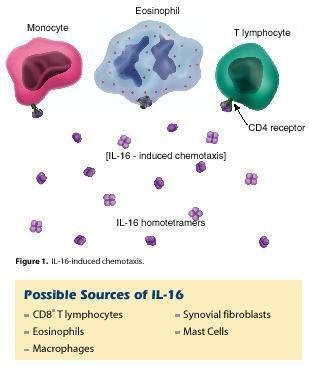 Interleukin 16 (IL-16), formerly known as lymphocyte chemoattractant factor or LCF,1,2 is a pro-inflammatory cytokine that is chemotactic for CD4+ T lymphocytes, monocytes, and eosinophils. In addition to inducing chemotaxis, IL-16 can upregulate IL-2 receptor3 and HLA-DR4 expression, inhibit T cell receptor (TcR)/CD3-dependent activation,5,6 and promote repression of HIV-1 transcription.7 IL-16 is a unique cytokine with no significant sequence homology to other well-characterized cytokines or chemokines. The aa sequence of mature, secreted IL-16 contains a PDZ motif. A PDZ motif consists of an approximately 90 aa residue unit, which is often repeated in a protein. They are typically intracellular protein modules involved in clustering ion channels, receptors, and other membrane proteins, connecting them to signaling complexes.18 A conserved GLGF (Gly-Leu-Gly-Phe) aa sequence characterizes PDZ motifs and functions in mediating binding of defined peptide sequences. The IL-16 PDZ motif does contain a “GLGF cleft”, however, it is much smaller than those of other PDZ-containing proteins and is blocked by a tryptophan side chain in its center.19 Blockage of the peptide-binding site prevents IL-16 from displaying expected peptide-binding properties of PDZ-like domains. The functional significance of the IL-16 PDZ motif remains to be identified. CD4 serves as a signal-transducing receptor for IL-16. Expression of CD4 is required for mediating IL-16 functions.3,20-23 Interaction between IL-16 and CD4 can specifically initiate an increase in intracytoplasmic calcium and inositol trisphosphate,3 activation of p56lck,21 and translocation of protein kinase C from the cytosol to the cell membrane.23 IL-16-induced functions can be inhibited by a monomeric Fab of an anti-CD4 (OKT4) monoclonal antibody.4,8 The region of CD4 that binds IL-16 has been identified within the D4 domain, overlapping structure involved in CD4 dimer formation.24 Studies with point mutations or deletions in the C- and N-terminal residues of IL-16 demonstrate that sequences within both the C- and N-terminal domains of IL-16 are required for interaction with CD4. Center, D.M. and W.W. Cruikshank (1982) J. Immunol. 128:2562. Cruikshank, W.W. and D.M. Center (1982) J. Immunol. 128:2569. Cruikshank, W.W. et al. (1991) J. Immunol. 146:2928. Cruikshank, W.W. et al. (1987) J. Immunol. 138:3817. Cruikshank, W.W. et al. (1996) J. Immunol. 157:5240. Theodore, A.C. et al. (1996) J. Immunol. 157:1958. Maciaszek, J.W. et al. (1997) J. Immunol. 158:5. Cruikshank, W.W. et al. (1994) Proc. Natl. Acad. Sci. USA 91:5109. Baier, M. et al. (1997) Proc. Natl. Acad. Sci. USA 94:5273. Bazan, J.F. et al. (1996) Nature 381:29. Kim, H.S. (1999) Cytogenet. Cell Genet. 84:93. Bannert, N. et al. (1999) Immunogenetics 49:704. Bannert, N. et al. (1999) Proc. Natl. Acad. Sci. USA 96:1541. Keane, J. et al. (1998) J. Immunol. 160:5945. Bannert, N. et al. (1998) Immunogenetics 47:390. Zhang, Y. et al. (1998) J. Biol. Chem. 273:1144. Wu, D.M. et al. (1999) J. Immunol. 162:1287. Ponting, C.P. and C. Phillips (1995) Trends Biochem. Sci. 20:102. Muhlhahn, P. et al. (1998) Nat. Struct. Biol. 5:682. Ryan, T.C. et al. (1995) J. Biol. Chem. 270:17081. Rand, T.H. et al. (1991) J. Exp. Med. 173:1521. Parada, N.A. et al. (1996) Cell. Immunol. 168:100. Liu, Y. et al. (1999) J. Biol. Chem. 274:23387. Nicoll, J. et al. (1999) J. Immunol. 163:1827. Bellini, A. et al. (1993) J. Allergy Clin. Immunol. 92:412. Hessel, E.M. et al. (1998) J. Immunol. 160:2998. Laberge, S. et al. (1997) Am. J. Respir. Cell Mol. Biol. 17:193. Laberge, S. et al. (1999) Int. Arch. Allergy Immunol. 119:120. Mashikian, M.V. et al. (1998) J. Allergy Clin. Immunol. 101:786. Rumsaeng, V. et al. (1997) J. Immunol. 159:2904. Berman, J.S. et al. (1985) Cell. Immunol. 95:105. Chupp, G.L. et al. (1998) J. Immunol. 161:3114. Laberge, S. et al. (1995) J. Immunol. 55:2902. Van Epps, D.E. et al. (1983) J. Immunol. 130:2727. Franz, J.K. et al. (1998) Eur. J. Immunol. 28:2661. Lim, K.G. et al. (1996) J. Immunol. 156:2566. Cruikshank, W.W. et al. (1995) Am. J. Respir. Cell Mol. Biol. 13:738. Klimiuk, P.A. et al. (1999) J. Immunol. 162:4293. Lee, S. et al. (1998) Br. J. Rheumatol. 37:1334. Keates, A.C. et al. (1997) Gastroenterology 112:A110. Laberge, S. et al. (1998) J. Allergy Clin. Immunol. 102:645. Schluesener, H.J. et al. (1996) J. Neurosci. Res. 44:606. Biddison, W.E. et al. (1997) J. Immunol. 158:3046. Center, D.M. et al. (1997) Int. 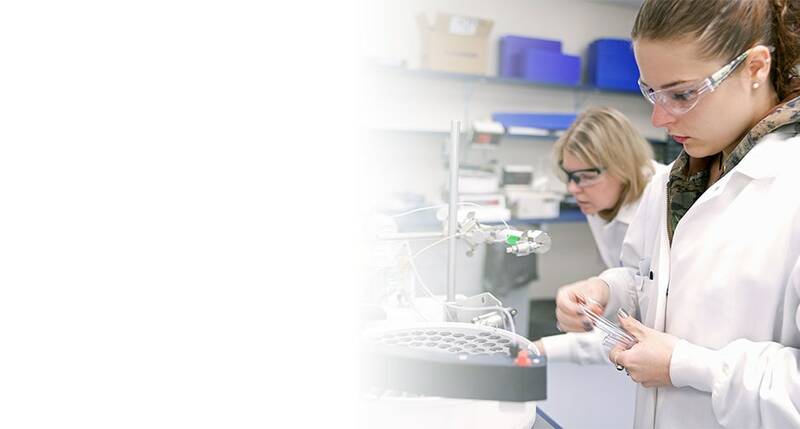 J. Biochem. Cell Biol. 29:1231. Baier, M. et al. (1995) Nature 378:563. Bannert, N. et al. (1996) Nature 381:30. Levy, J.A. et al. (1996) Immunol. Today 17:217. Amiel, C. et al. (1998) J. Infect. Dis. 179:83. Zhou, P. et al. (1997) Nat. Med. 3:659. Zhou, P. et al. (1999) J. Immunol. 163:906. Theodore, A. et al. (1994) J. Acquired Immune Defic. Syndr. 7:899. Cocchi, F. et al. (1995) Science 270:1811. Alkhatib, G. et al. (1996) Science 272:1955. Deng, H. et al. (1996) Nature 381:661. Dragic, T. et al. (1996) Nature 381:667. Oravecz, T. et al. (1996) J. Immunol. 157:1329. Bisset, L.R. et al. (1997) AIDS 11:485. Clerici, M. et al. (1996) Immunol. Today 17:297. Scala, E. et al. (1997) J. Immunol. 158:4485.